Here’s a subtly sweet shortbread cookie with a dollop of raspberry jam on top. 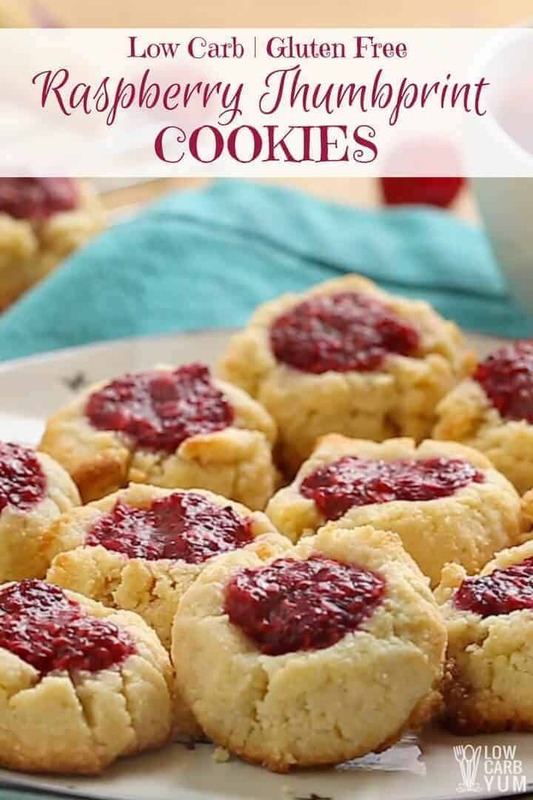 It’s a gluten free thumbprint cookies recipe you’ll want to make year round. Thumbprint cookies are often served during the holiday season. 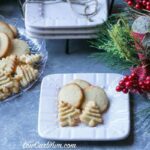 I found a wonderful Scandinavian recipe for these popular Christmas cookies and adapted it to be low carb. 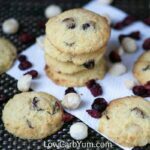 These raspberry cookies are so good that even your friends and family who don’t follow a low carb diet are likely to scarf them down. In fact, they didn’t last very long in my house. 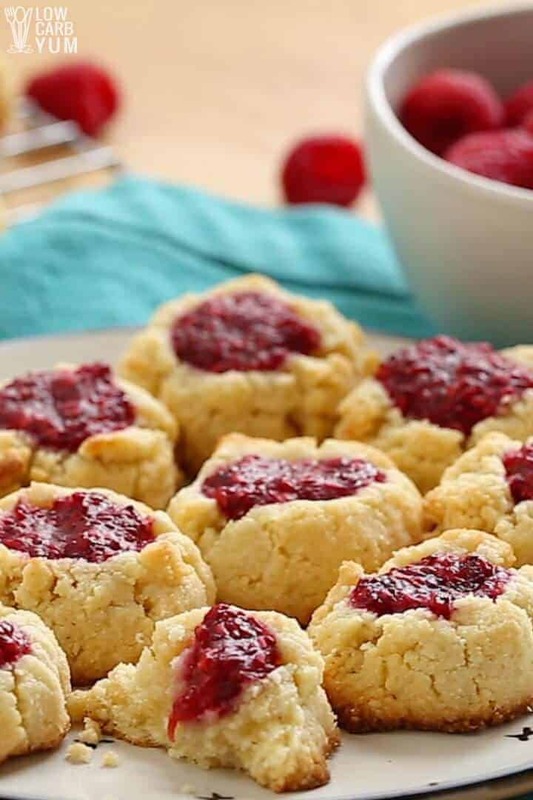 With a subtly sweet shortbread base and a dollop of raspberry chia seed jam on top, this gluten free thumbprint cookies recipe is something you’ll want to make year round. The best part is that they are so easy to make and come out looking spectacular. 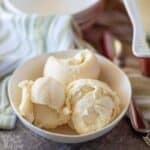 These low carb treats are definitely going to be served at our gatherings this holiday season. I haven’t decided what other cookies to include. Maybe I’ll make some of the walnut chocolate chip cookies for the holidays as they are a new favorite of mine. 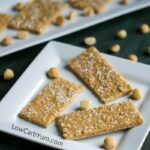 I may even attempt to make some decorated low carb cut out cookies this year. I used a standard cookie scoop to for this gluten free thumbprint cookies recipe so each cookie is about the same size. Then I used my index finger to make a small indentation in each of the dough balls and flatten them out slightly. I got 36 cookies from the recipe and each cookie took about a teaspoon or so of jam. I recommend lining the cookie sheet with parchment paper or a Silpat mat so you won’t have to worry about the cookies sticking to the pan. These yummy cookies are going to become a staple for our family holiday celebrations. 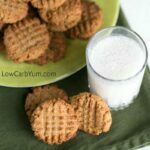 If you are still looking for a great low carb holiday cookie, you should definitely give these ones a try. 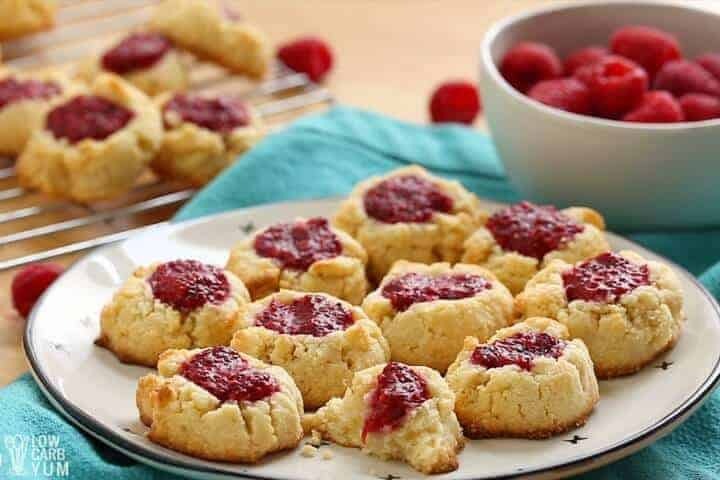 I’m really glad I decided to try these raspberry jam gluten free thumbprint cookies. They are a bit different than the peanut butter cookies with a chocolate thumbprint that I made earlier. Since I’ve been moving away from eating peanuts, the fruity topping is a much better option. Like most legumes, peanuts are quite inflammatory so it’s best to avoid eating them. That’s one reason I love coconut flour more than almond flour. Nuts are inflammatory, but since coconut isn’t a true tree nut, it doesn’t have that same effect. 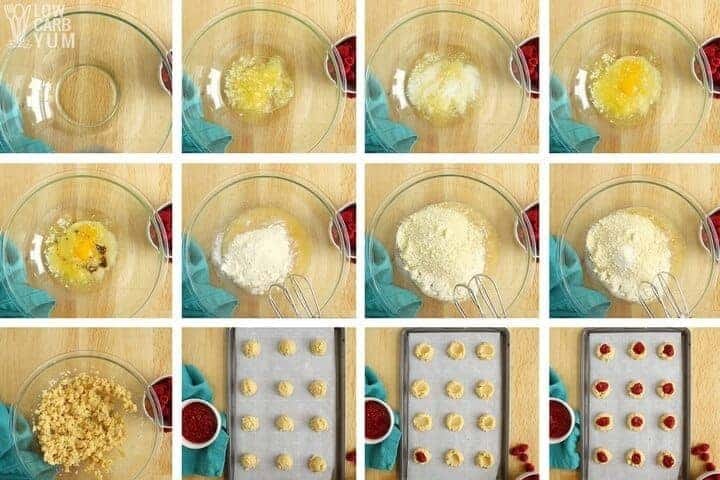 I actually combine both flours in this gluten free thumbprint cookies recipe. 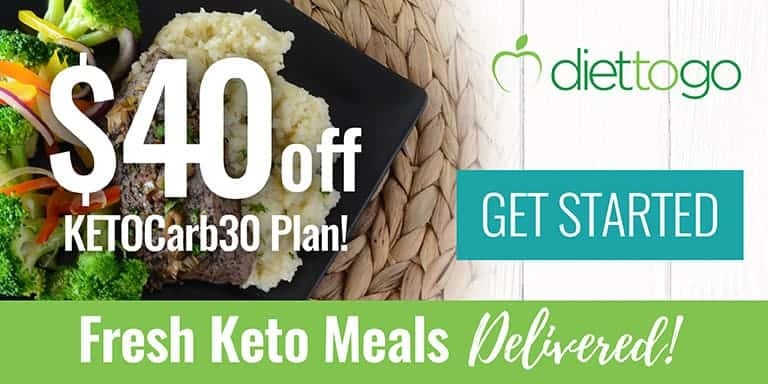 If you’d like to see some of the other differences between the two low carb flours, check out the almond vs. coconut flour article at All Natural Ideas. I definitely think coconut flour is the better choice for low carb baking. 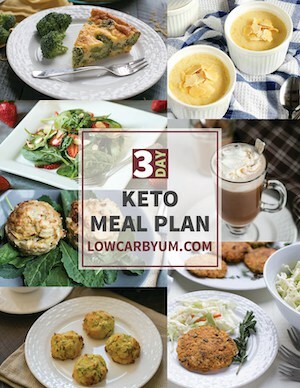 Combining both low carb flours does seem to give the best of both sides. However, because I’d like to limit inflammation, I’ve been moving more towards coconut flour. I suppose I could have chosen one flour or the other to bake these gluten free cookies. But, since I’m still experimenting with only coconut flour, I chose to use the easy option. 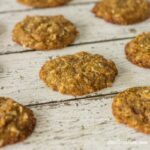 Do you have a preference of flour when baking low carb treats? 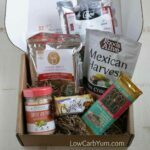 Which low carb flour do you usually use? 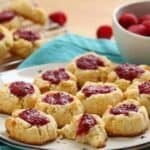 Here's a subtly sweet shortbread cookie with a dollop of raspberry jam on top. 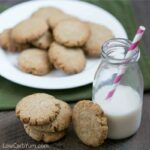 It's a gluten free cookie you'll want to make year round. In large bowl, beat together coconut oil, butter, sweetener, yolks, and vanilla. 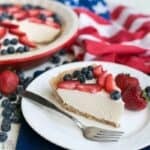 (Start with only half the coconut flour and add more later if needed. 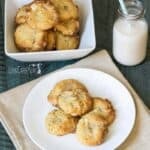 The absorbency of coconut flour can vary and too much can result in dry crumbly cookies) Beat in half the coconut flour and all the almond flour (and optional xanthan gum) until dough forms. Sprinkle in more coconut flour if needed. Scoop dough balls evenly onto lined cookie sheet. Use the tip of a finger to create an indentation on the top of each cookie. 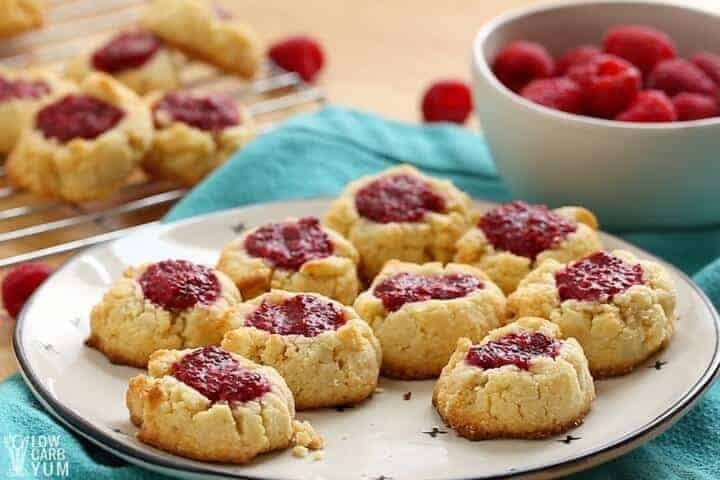 Fill each cookie indentation with chia raspberry jam. Bake at 350°F for 12 to 15 minutes.